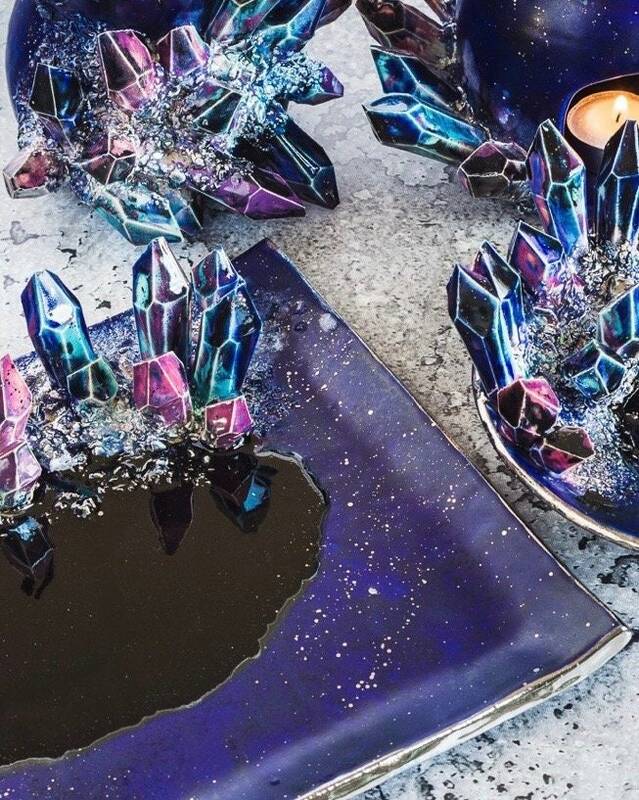 Place your keepsakes in this pool of galaxy dreams! 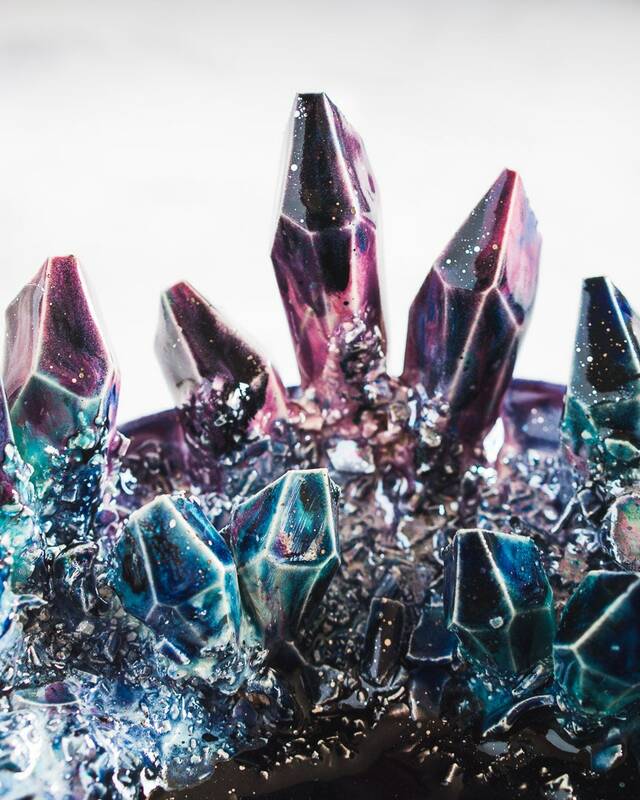 Every one of these incredible pieces is entirely handmade and custom built at the time of your order. 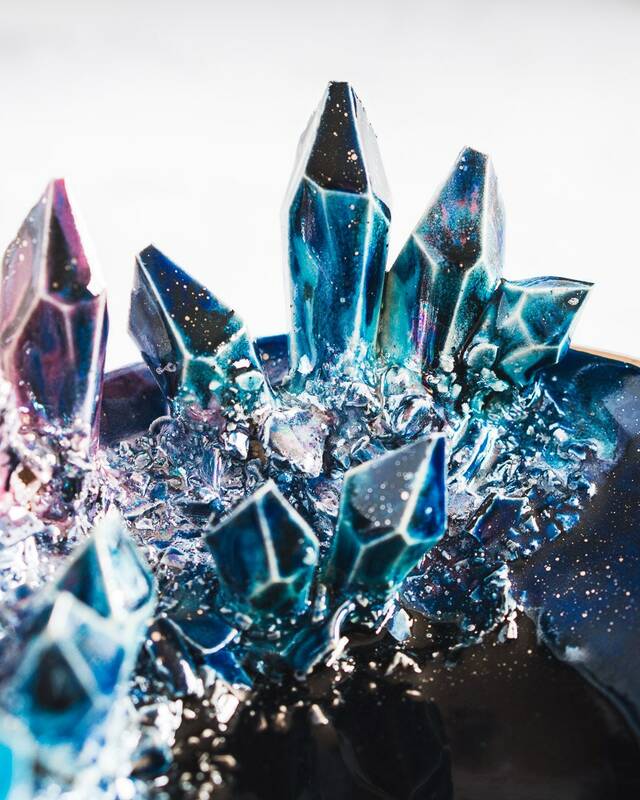 Over 7 different glazes are used on the crystals alone to reach maximum galaxy effect, with platinum stars sprinkled over the satin blue-black finish! Unless requested otherwise in your order, the lip has a slight upward curve to better hold items. If you would like it completely flat, please write FLAT PLATE in the notes during check out and I will happily accommodate your request! Black glass fusion pools in the center of the plate unless requested otherwise by purchaser.